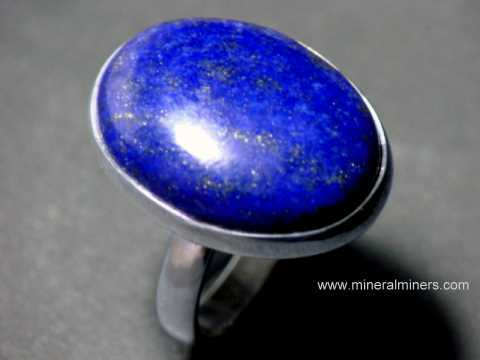 Try our Natural Lapis Lazuli Rough Satisfaction Guarantee - compare our prices and our superior quality. 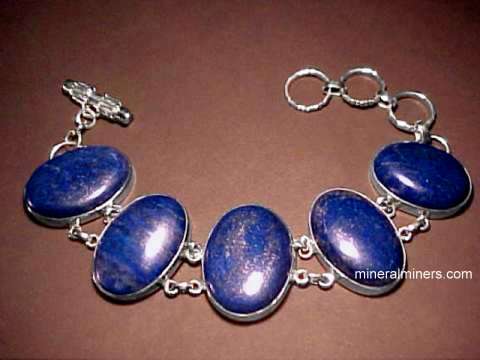 Click on any genuine lapis lazuli lapidary rough image below to enlarge it. Lapis Rough Dimensions: 2.3" x 1.6" x 1.3"
Lapis Lazuli Dimensions: 2.7" x 2.2" x 2.2"
Lapis Rough Dimensions: 3.7" x 2.3" x 1.8"
Lapis Rough Dimensions: 5.3" x 4.3" x 2.7"
Lapis Rough Dimensions: 7.5" x 5.7" x 4.5"
This large piece of natural color lapidary grade lapis rough weighs 8.25 pounds! 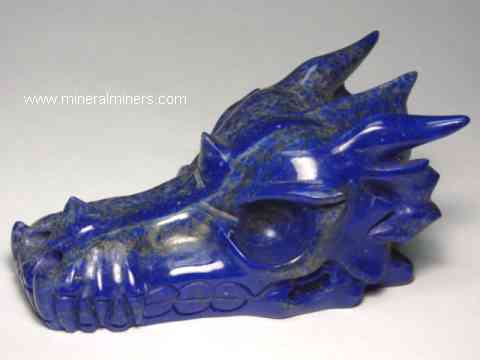 It was mined in Afghanistan. 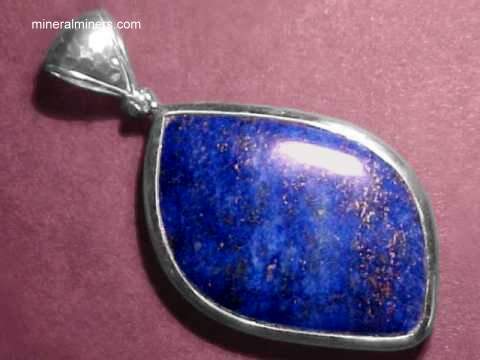 It has layers of very deep and intense natural blue color - perfect for making high quality natural lapis lazuli cabochon gems or an amazing carving. The beautiful blue lapis layers continue all the way through this large rough specimen, with some thin surface layers of white calcite in some areas. There are some layers with higher concentrations of golden pyrite and white calcite. 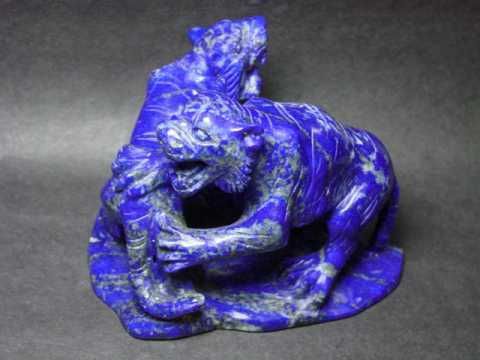 See a front view showing a thin surface layer of white calcite covering part of the deep blue lapis of this natural color lapis lazuli rough. Some of the back surface has a very thin white-ish clay surface layer (less than 1mm thick). 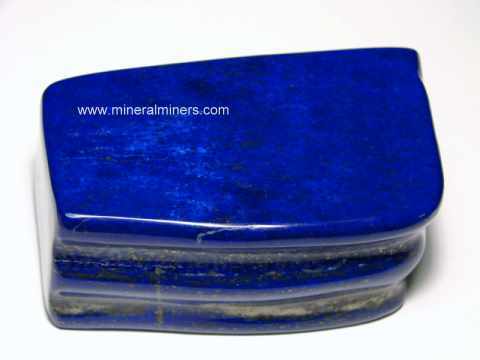 This is an excellent lapis rough piece for display as a decorator mineral specimen, and also for use as lapidary rough! 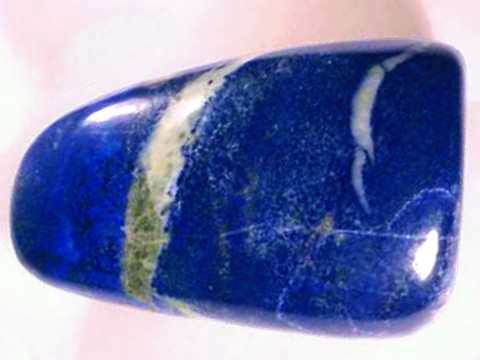 See also an opposite side view of this natural color lapis lazuli rough. Lapis lazuli of this quality is typically sold by the ounce, our mineralminers.com special offer price for this piece is $5/ounce = $660. 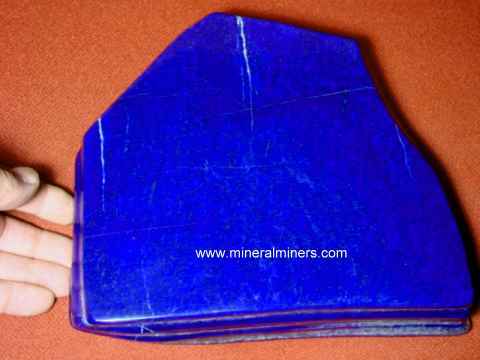 Natural Lapis Lazuli Rough, 32.45 pounds! Lapis Rough Dimensions: 13" x 8" x 6.5"
5.1" x 4.6" x 1.9"
Lapis Lazuli Dimensions: 12.4" x 7.5" x 5"
4" x 2.5" x 2.3"
Our Natural Lapis Lazuli Lapidary Rough is completely natural with no treatments of any kind. 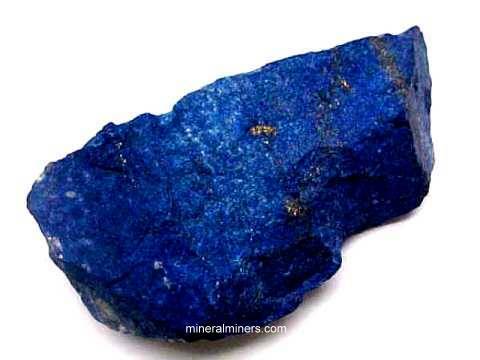 Each one of our lapis lazuli rough specimens is a piece of genuine untreated natural lapis lazuli! 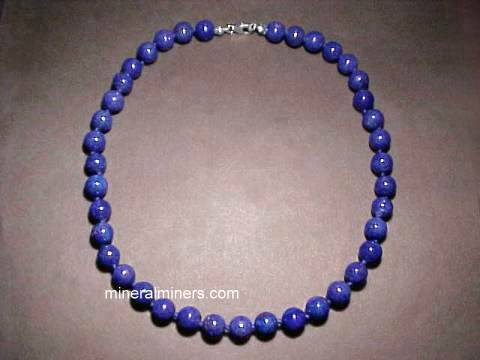 We specialize in 100% natural lapis lazuli rough. 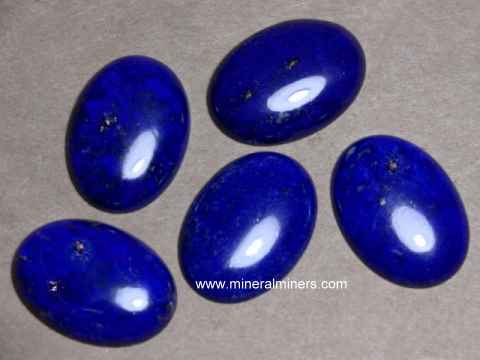 At this time, we have lapis lazuli rough available in very fine quality, and also some lower grade "denim lapis" rough which is natural lapis lazuli rough with less intense lighter blue natural color. We have a very large selection of natural lapidary rough available in dozens of natural mineral varieties! 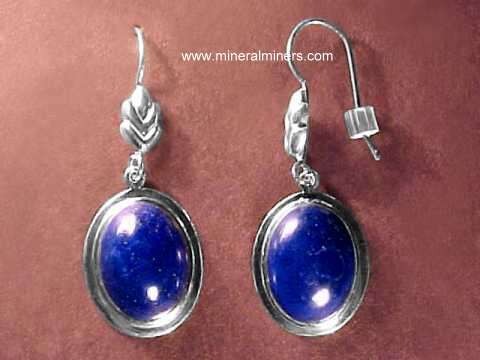 Would you like us to inform you when we add more natural lapis lazuli rough pieces on this page? We do have additional inventory of natural lapis lazuli rough for cabbing and carving in stock at our mineral warehouses, so be sure to let us know if you have any lapis lazuli rough special requests. 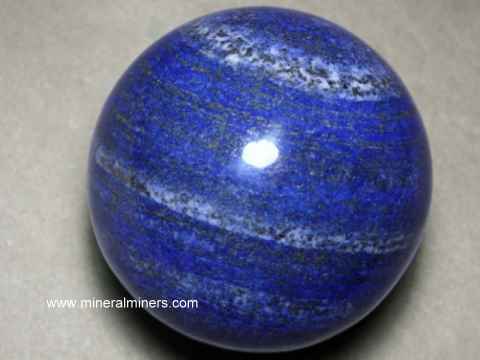 Please contact our webmaster, regarding natural color lapis lazuli rough or our 'site' geologist with any questions or comments.